Buffers, Cot DNA and streptavidin beads required for hybridization capture of DNA. 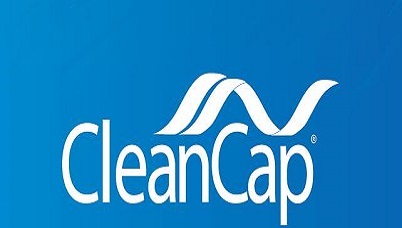 Human Cot DNA is enriched for repetitive, non-coding elements commonly found in genomic DNA. These repetitive sequences often lead to non-specific binding during hybridization reactions. Adding Cot DNA to these reactions reduces non-specific binding associated with these repetitive sequences to improve accuracy. 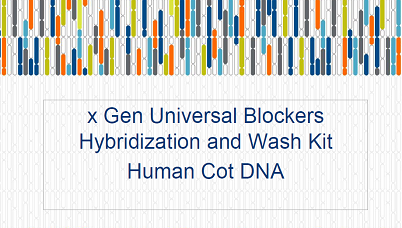 The xGen Hybridization and Wash Kit comprises hybridization and wash buffers, Cot DNA, and streptavidin beads that have been optimized for in-solution target enrichments using xGen Lockdown Probes and Panels. 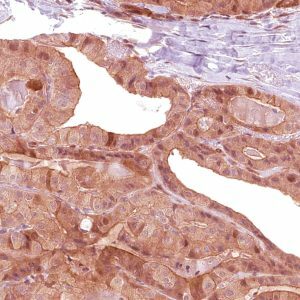 This workflow is compatible with NGS libraries prepared using ligation-based techniques, such as TruSeq® library kits, and Nextera® DNA library preparation kits. 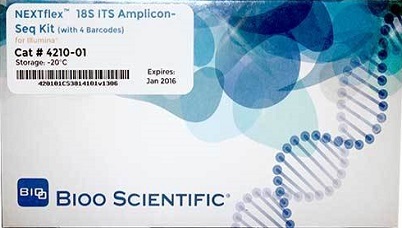 Human Cot DNA is a commonly used reagent in genomics applications that rely on probe-target hybridization. The Cot DNA is used to block nonspecific cross hybridization, reducing background noise and improving signal specificity. Cot DNA is isolated from human placental DNA using methods that enrich for repetitive sequences such as the Alu and Kpn families, and sheared to a size range of 50–300 bp. 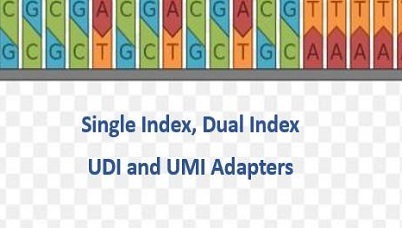 IDT Human Cot DNA is supplied in 1X Tris EDTA, pH 8.0, at a concentration of 1 mg/mL. Store at –20℃. The human material used in the production of Human Cot DNA has tested negative for hepatitis B virus, hepatitis C virus (HCV), human immunodeficiency viruses type-1 and type-2 (HIV-1, HIV-2), and rapid plasma regain titer.